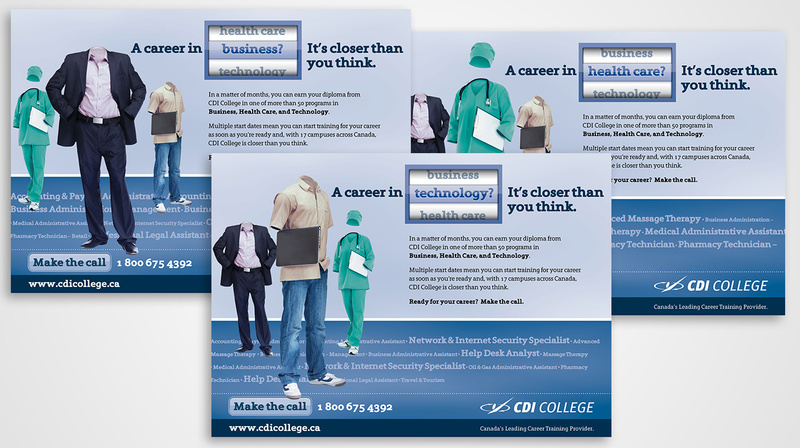 Eminata Group is the parent organization for two British Columbia post-secondary institutions – Vancouver Career College and CDI College. Eminata approached us at a time when the education market was becoming increasingly overcrowded with undifferentiated competitors. Noticing that their advertising reach had narrowed, the organization – which had previously relied exclusively on an in-house creative team – felt it was time to scale up to agency-level work. 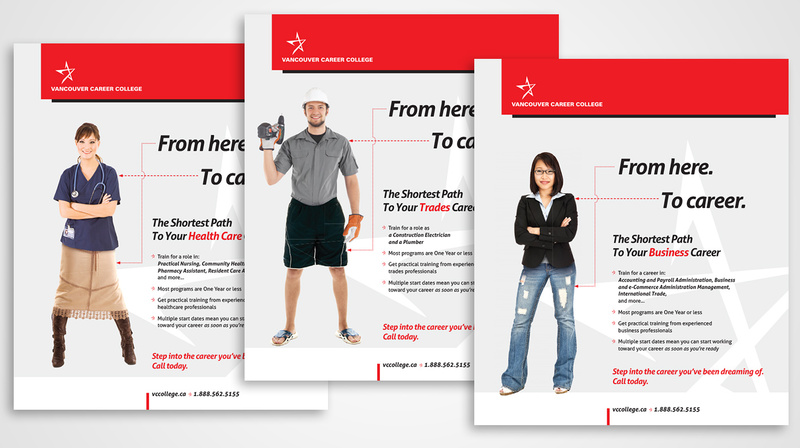 Recognizing the limits of their previous strategies and needing to develop visually distinct campaigns for each of their schools, we developed print campaigns that would catch the eye of the college’s media-saturated millennial consumers. Highlighting the untapped potential of prospective students, the campaign featured compelling and twisted imagery that would appeal to the institution’s youthful clientele. By effectively employing the themes of transformation and betterment without falling into the trap of ham-fisted sentimentality, Skunkworks added the fresh perspective that the client was looking for. Our work with this educational leader served as a lesson that sometimes in-house ambitions require agency execution.